Have you gone on a gluten-free diet, thinking it might help you feel better—and potentially clear up your skin? Did it work? Or are you still suffering from digestive discomfort, acne, eczema, and other inflammatory skin conditions? Could this be your issue? If so, adjusting your diet could help clear up your digestive issues and your skin. You may know you’re sensitive to gluten found in your food, but it’s possible that your moisturizer and other skin products contain gluten too. If you want to avoid putting gluten on your skin, check out these gluten free beauty products here. FODMAPs: Fermentable oligosaccharides, disaccharides, monosaccharides, and polyols. You can think of them as fermentable carbohydrates. They are carbs that aren’t completely absorbed in the intestine, so they can sit in there and actually ferment. For some people, that isn’t a problem. But others may suffer digestive symptoms like diarrhea, constipation, gas, bloating, and cramping. In fact, people who suffer from irritable bowel syndrome (IBS) often find relief by restricting FODMAPs in their diet. How Do FODMAPs Affect Skin? We don’t have any studies yet specifically testing FODMAPs and skin, but other research has suggested a connection. The King’s College London, for example, notes that a low FODMAP diet is effective for about 70 percent of people with IBS who try it, adding that there is evidence that it not only clears up digestive symptoms, but headaches, skin, and joint problems as well. We already know that celiac disease—an autoimmune disorder in which gluten actually damages the small intestine—can lead to skin problems. A 2002 study reported that about 10 percent of adults with celiac also suffer from “dermatitis herpetiformis,” an extremely itchy chronic rash also called “celiac disease of the skin.” A gluten-free diet helps clear up this rash. A sensitivity to FODMAPs is similar to a sensitivity to gluten—both can cause stomach and intestinal upset, and are believed to affect the condition of the skin. So if you’re suffering from symptoms, how can you be sure what’s causing them? None of the participants had celiac disease, but all had digestive symptoms that had improved on a gluten-free diet. Results of the study showed that all diets except the low-FODMAP diet—even the placebo diet—caused participants to experience symptoms, which led to the conclusion that gluten was not the culprit. Meanwhile, when the participants were on the low-FODMAP diet, almost all reported their symptoms improved. So why would these people feel better on a gluten-free diet? 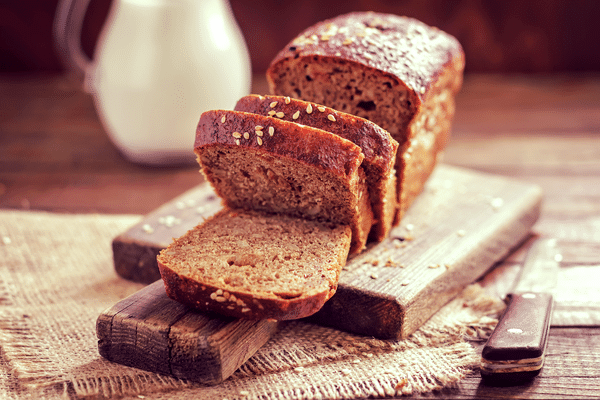 Because many of the foods that contain gluten also contain FODMAPs—but not all. So if you’ve gone gluten-free and you feel great and your skin looks great, you’re probably on the right track. If you notice that you’re still suffering symptoms, however—including acne, rosacea, and eczema—it may be time to look more closely at the FODMAPs in your diet. The nice thing about this research is that you can put it to work for you in your own home. If you’re not feeling one-hundred percent better on a gluten-free diet—or if you’re still suffering from acne, eczema, rosacea, or psoriasis break-outs—you can try eliminating FODMAPs for a couple weeks and see what happens. If you feel and look better, you may have found the key to your good health and appearance. That doesn’t mean you have to go without these foods forever—just that you may want to eat fewer of them. You can always add some back in slowly to see how your body responds. If nothing changes on your FODMAPs-free diet, than you can probably conclude that you’re not sensitive to them. Sometimes it can feel overwhelming to think about cutting out all the foods on this list. If so, flip it around and choose more foods that are lower in these tummy-challenging compounds. Have you tried a low-FODMAP diet? Did it improve the condition of your skin? “Frequently asked questions on the low FODMAP diet,” King’s College London, http://www.kcl.ac.uk/lsm/research/divisions/dns/projects/fodmaps/faq.aspx. David A. Nelsen, “Gluten-Sensitive Enteropathy (Celiac Disease): More Common Than You Think,” Am Fam Physician. December 15, 2002; 66(12):2259-2266, http://www.aafp.org/afp/2002/1215/p2259.html. “Celiac & Skin: Part 2,” National Foundation for Celiac Awareness, http://www.celiaccentral.org/skin/Celiac-Skin-Part-2/545/. Steven Ross Pomeroy, “Gluten Intolerance May Not Exist,” Forbes, May 15, 2014, http://www.forbes.com/sites/rosspomeroy/2014/05/15/non-celiac-gluten-sensitivity-may-not-exist/. Biesiekierski JR, et al., “No effects of gluten in patients with self-reported non-celiac gluten sensitivity after dietary reduction of fermentable, poorly absorbed, short-chain carbohydrates,” Gastroenterlogy, August 2013; 145(2):320-8, http://www.ncbi.nlm.nih.gov/pubmed/23648697. I will add a bit to the conversation of what I have found. I have been a natural yeast baker for decades and have seen thousands of people who complain of wheat digestion issues eat our product without any or very minor in comparison issues. I think that digestion is gut health, probotic bacteria health, etc which is directly empowered or depowered by out diet and how much good bacteria we eat. The rise in celiacs for example is in direct correlation of the creation of products like wonder bread quick rise bacteria risen bread products. I do believe that a very very select few have issues with celiacs through genetics and this may be where these new findings come in. I also believe that 99.9% of us have a problem with the food we and our mother ate (as she gives you your probotics at birth and supplements them with her milk). We have a nice section in our about us page at http://wheatfire.com if you are insterested. Thank you for reading! Hello. Long story but in Jan 2015 I had a very minor rash on my left shin and was treated for it with 4 antibiotics. One of then, which one I don’t know, caused a serious allergic reaction wherein my entire body was covered with a rash and worse, I had total renal shutdown. I was rushed to the hospital and received emergency dialysis for 30 days in the hospital. I also obtained sepsis and had a detached retina and infected shoulders, and the rash continued. I nearly died twice in the hospital. Once out of the hospital I was on dialysis for 4 months and fortunately my kidneys came back to normal function. The rash and severe itching continued. Now a year and a half later with many visits and care with 3 dermatologists the rash has long since disappeared through the use of several medications, wet wraps, light therapy, steroid creams, regular creams, etc. What remains to this day is severe itching and NO rash that is random around by body from my knees up. The itching is not all over at one time but it moves around from my legs, to back, buttocks, chest, arms, etc. At home I can only use the creams and I have been told to stop the light therapy. it usually starts later in the afternoon and continues on until I finally fall asleep after taking a hot shower for relief followed by a cold shower. By then its midnight or later and I can then sleep. In the morning I have no itching at all. I’ve tried everything imaginable for cure but no luck. My daughter who is a registered dietitian has celiac disease and my granddaughter ( from my other daughter) seems to have the celiac symptoms too and being managed by her food intake. Sorry for the long story but could any of the itching I have be caused by my normal food diet? Should I be trying a gluten free diet? Thank you for sharing. I’m not sure what could be causing this itchiness that you’re experiencing! Because this is happening each day, I would suggest eating a gluten free diet for a couple of weeks and see if that helps you out. If not, try to work with a holistic practitioner to find what could be going on internally that could be causing the itching. The link for the FODMAPS chart is broken. Thank you! We’ll find another chart and get it up there ASAP! Why would bulgur be okay when wheat is not? Bulgur is just roasted cracked wheat. Also, how about stevia as a sweetener? Cous cous is not a grain. It is like pasta and usually made from semolina. Foods “like” the following is very confusing. I’m trying to figure out which ones that are not included would be good or bad. So how is it that almonds are ok but almond milk is not? The reason all of this is taking place and was not an issue for thousands of years is simple we use to ferment our wheat with natural yeast and many other countries still do (I went to italy [lots of natural yeast use there]and was fine) it is not our wheat it is or processing and quick rise bread methods with proceeded wheat and bacteria that is what is different and why we lead the world with this issue. Why is Almond Milk listed as high in FODMAPs, but Almonds are on your Low-FODMPAPs list? I love your site and this is an interesting discussion! And I’m curious to learn more about FODMAPS, etc. For me, the slightest trace of a grain-derived ingredient sets off a cascade of disabling symptoms (this includes “very low-carb items as well as all gluten-free” and bush grains.) Anyway, I wondered because the study mentioned wasn’t clear about gluten or grain content of each diet. Did the low FODMAPS diet contain grain products (presumably without the oligosaccharides?) Because all the others potentially contained grain products. Anyway, anything is worth trying if you’re sick and miserable, as long as there are no lasting ill effects. Thanks! Sounds like you are histamine intolerant. There is a lot of information online. I had sores on my head and my skin would burn and be red all the time, especially on my face. I mentioned it to many hairdressers and got a shrug. I found one who asked about allergies. I mentioned I was told to watch how much bread I consumed. She gave me a shampoo and conditioner that was gluten free and I got better. So I decided to get tested and sure enough I had Celiac Disease. Diet has not been enough. I found shampoo, conditioners and cleaning products like laundry detergent and house hold cleaners helped. I couldn’t find anything for my face. If it didn’t have gluten it had something else that made my face red and sore. Then I found annemarie, what a blessing!!! 🙂 My face looks bright and fresh and my skin is never itchy and sore, red! The most amazing product I have found! I do hope you expand into shampoo and conditioner. My head isn’t as bad but if I do find a shampoo that bothers me and I use the citrus face wash it clears everything up right away. I have not found anything that compares and I have tried many different products. It isn’t just what we put in our body that matters! Wow! We’re thrilled to hear that our products have been so helpful for you! Thank you so much for sharing, Sandy! Hi Marla! That’s interesting, like all bush and grass grains/seeds, quinoa seems to give me blood sugar issues. It has much the same effect on me as any of the grass grains, so I think of it as a grain and something to be avoided. However, like many American women I do have an autoimmune endocrine condition, so maybe it’s causing an immune reaction that lowers my metabolism in another way…either way, I don’t eat grass grains/seeds or bush grains/seeds and sure do miss quinoa! I’m so sorry that you have struggled with this. I know it can be really frustrating to figure out what our bodies do and don’t like. I really hope you feel better soon! I have been on the Gaps diet to cure my seborrheic dermatitis. But I’ve noticed serious bloating, gas (IBS) symptoms etc. I read in the paleo approach by Sarah Ballantyne, that foods high in fodmaps can contribute to a leaky gut, and feed bacteria. I am less gassy and bloated, now I watch my onions, garlic etc intake. I am still thinking would a SCD Specific Carb Diet/Gaps diet in combination with a low-fodmap diet be helpful? Or should I just stick to a low fodmap diet for a while, but still consume a lot of bone broth. It is difficult, because low fodmap diet allows white rice, white potato. While gaps/scd avoids it. Hi Tim! I’d recommend you check out http://bodyecology.com/ . It has some good information on gut health. 🙂 There are so many different diets and theories out there that we can’t tell you exactly what will work with you. You might want to check with a naturopath or trusted physician. Sounds like you’re doing a good job of researching and I hope you feel better soon! Great article. The Gibson study made a lot of NCGS people mad. I think it got grossly misinterpreted by media, looking to debunk the “gluten-free fad.” Your explanation is much more gentle in that one could have more issues than just gluten going on. Considering a low FODMAPS diet may help relive those symptoms where a GF diet hasn’t. For myself, I am gluten intolerant but never had an issue with my digestion. All of my symptoms were skin and neuro related (migraines). Removing all gluten and many grains has been great for me for the most part but my skin still indicates that I am reacting to something. Recently, I’ve learned that the foods I seem to react to all share a protein in the latex family: avocados, kiwi, mango, banana, walnuts. These foods are all good nutrient dense, Paleo choices (where I’d argue a lot of high FODMAPS and gluten containing foods are not). I don’t think many people consider this sensitivity where skin is concerned. I found your article informative and somewhat helpful. But I’m puzzled about your inclusion of peanuts in the Nut category. Peanuts are legumes. Thank you so much for sharing this article! I have issues that improved with eliminating gluten- since a year ago. About 4 months ago I started having GI issues even when gluten free. This info gives me something else to investigate and implement into my diet. I was not aware of FODMAP problems before reading this article. This information is very helpful… please keep sharing it. If you find similar reliable information about the effects of nightshade vegetables, please post! My daughter had a terrible time with her belly until we tried the FODMAP diet and stuck to it religiously. We ran every test under the sun, and she was negative for everything, including gluten intolerance. When she limited FODMAP foods, she felt better immediately. She stuck to it for about 6 months, and then started to add some of the fruits and veggies she liked back slowly, (like apples) and has not had a problem with them. She still avoids gluten containing products and lactose, and a few other things that cause her discomfort, but I think following it so strictly in the beginning allowed her gut to calm down. I think it was probably inflamed and this allowed it to rest enough to recover. I am a Registered Dietitian and a believer in the efficacy of this plan. Very informative article on FODMAP’s. I haven’t tried it but I do avoid gluten and feel a lot better when I do. I know I have issues with other foods so I may try to eat more low FODMAP’s foods to see if it makes a difference. Gluten Free But Still Feeling Meh? Try These Three Things.